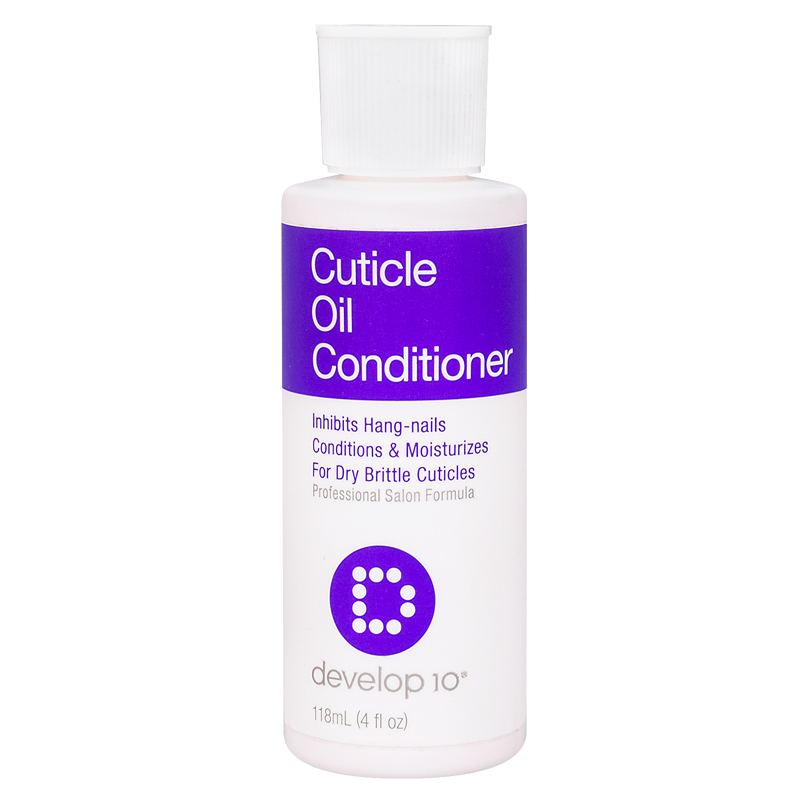 Develop 10’s Cuticle Oil Conditioner was made for dry brittle nails to condition, moisturize and help inhibit hang-nails. 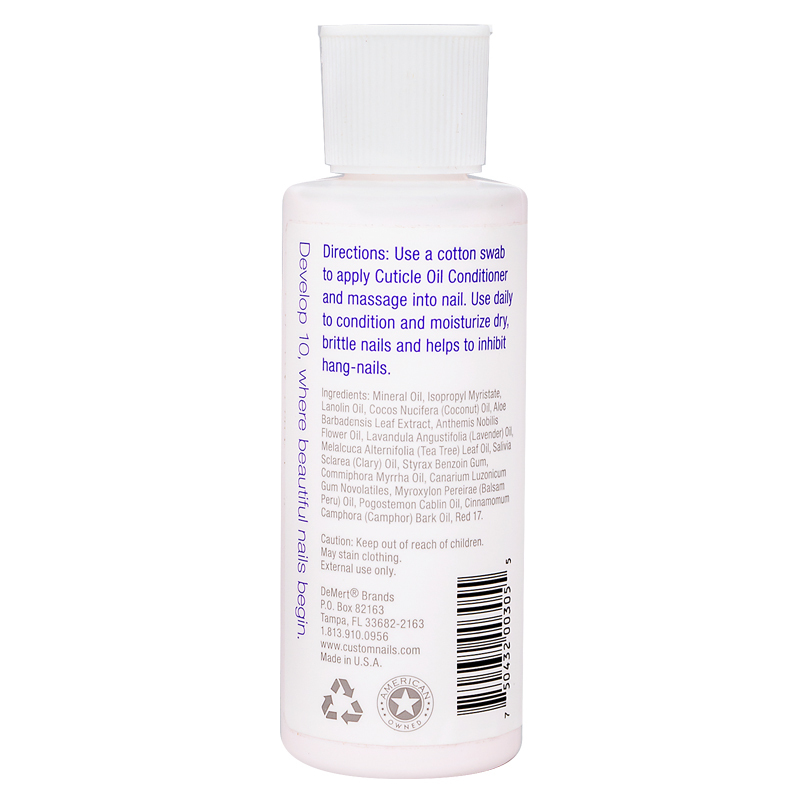 Directions: Use a cotton swab to apply Cuticle Oil Condition and massage into nail. Usse daily to condition and moisture dry, brittle nails and helps too inhibit hang-nails.